PRESIDENT Rodrigo Duterte continued to bet big in a high-stakes game with President Xi Jinping of China in their latest round at the Boao Forum for Asia held in Hainan, the province claiming jurisdiction over the West Philippine Sea. Duterte is betting all the Philippine chips in a gamble to win aid, loans and investments that his administration needs to uplift the living condition of Filipinos and thereby prove his China policy right. His critics, meanwhile, ask if Duterte, a self-confessed Sinophile and a novice in foreign relations, is the right solo player to place all the Philippine chips on the line against a veteran player. Cozying up to China from the time he became president in 2016, Duterte has ignored the potentially impeachable violation of the constitutional ban on allowing foreign military bases on Philippine territory. Taking literally his role as the country’s sole spokesman in foreign relations, the President has not bothered to secure the advice and consent of the Senate in entering into or stepping out of international agreements – and not a peep is heard from a complicit Congress. Duterte continues to be blind and mute to documented reports that China has built up features in the West Philippine Sea into military facilities without benefit of a treaty duly concurred in by the Senate as required under Section 25, Article XVIII of the Constitution. Any possible culpable, therefore impeachable, violation of the Constitution could soon become moot, however, with the Duterte forces preparing to revise or completely replace the basic charter. We may change our ideology but will not be able to alter geography. China and the rest of our neighbors in this corner of Asia have been with us — for better or for worse. We might as well work hard at cultivating amicable and mutually beneficial relations. However, we cannot see how Chinese intrusions into our EEZ, its conversion of WPS features into military outposts, shooing away of Filipino fishermen, and the destruction of the marine ecosystem is friendly or indicative of respect for Duterte and Filipinos. 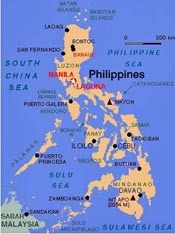 • Economic and technical cooperation between the Philippines and China. • Exchange of letters on phase III of the technical cooperation project for the Filipino-Sino Center for Agricultural Technology. • Exchange of letters for the pre-feasibility study of the proposed Davao City Expressway Project. • Exchange of letters for broadcasting equipment for the Presidential Communications Operations Office of the Philippines. • Memorandum of understanding on the employment of Filipino teachers of English language in China. • Preferential buyer’s credit loan agreement on the Chico River Pump Irrigation Project. AT THIS point, in the absence of a credible opposition, Filipinos will just have to join or watch the Duterte legions as they march on to recreate the Philippine political landscape according to their Davao template. It seems to this observer that what Duterte wants, he will get by his usual forceful method. If Duterte blunders in playing his cards in his game with China, we’re sunk. A decision must be made now, before all is lost, if we believe he does not have the patriotism, the vision and the diplomatic skills to push Philippine interests. But if we agree with his China policy, including his opening of the Philippine exclusive economic zone to China’s exploitation – and militarization — despite a 2016 award favorable to us by the Permanent Court of Arbitration at The Hague, let us back his initiatives. For check and balance, however, there is no organized opposition, no rallying figure to lead or an ideology to guide any serious resistance. Those looking at the remnants of the Liberal Party to fiscalize Duterte better look elsewhere. Congress, a co-equal and supposedly independent branch, has sold out. While we never pinned our hopes on the transactional congressmen lolling in the crocodile farm, most senators have also shown themselves to be no better than their colleagues in the “lower” House. After Supreme Court members themselves tore down the false façade that had given the tribunal mystique and respect, after they created a scene by running to the House to make “sumbong,” the SC has been exposed as no better than the Court of Appeals and inferior courts. It now seems to be on self-destruct mode. All other institutions that could stand in the way of the marching Duterte forces are being systematically harassed into stepping aside. This demolition job is not that difficult since practically everyone in this corner of hell is a sinner and ready to keep quiet or compromise. We are now reaping the fruits of runaway corruption. It may sound defeatist, but it seems Philippine society, corrupt to the core, will have to yield to whoever is ready to rule by superior force. We have no statistics to prove it, but we feel in our guts that there are at least two apolitical forces that may yet save this country for another transition to genuine rule of law – the youth and the military. Like Hitler, Duterte has not forgotten to organize youth cadres ready to move at a signal. But there remains a core of young Filipinos, many of them on campuses and work sites, who have remained impervious to propaganda and are willing to move to save the country. Although pampered by Duterte and plied with salary increases, housing, and promises, we believe that the armed forces remains professional enough to play its role assigned by the Constitution as “the protector of the people and the State” (Section 3, Article II). We are watching the mid-term elections next year, a tipping point that will give clues if the second half of Duterte’s term will see an economic takeoff or a political slide downhill.